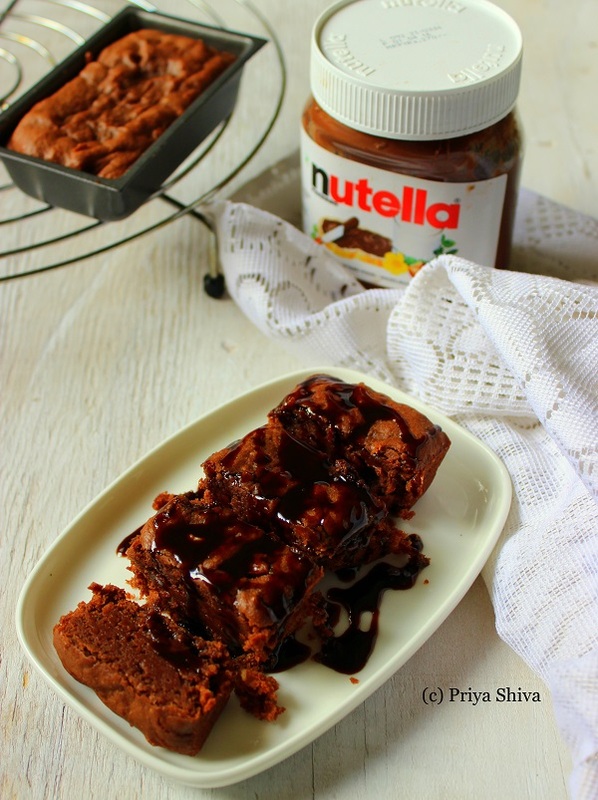 These are the best ever Eggless Nutella brownies which I have baked till date. You just need four main ingredients and the best part is that I have used millet flour. Yes, I have used Jowar atta or better known as Sorghum flour. They are so easy to make that anyone can make these brownies in flat 20 minutes. I just made few changes to the earlier Nutella brownies recipe shared on my blog and replaced APF with Sorghum flour. The result is in front of you all. 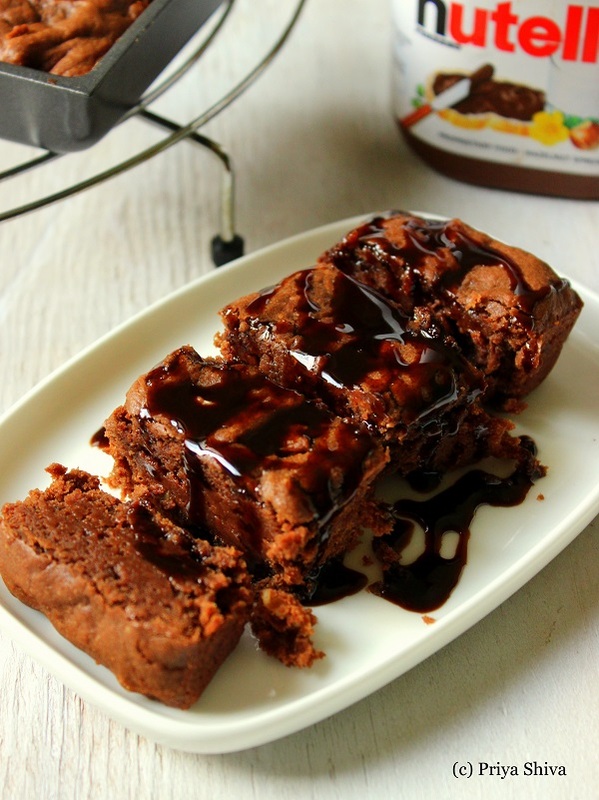 These fudgy Eggless Nutella brownies are too good to resist. Make sure to use absolutely over-ripened banana and not do alter the proportions. These brownies are also gluten free, egg-free and perfect for any nutella lover! Drizzle some Chocolate syrup or serve it with some ice cream. I made these brownies in my newly bought mini loaf pans. I just divided the whole batter into 2 mini loaf pans and enjoyed. 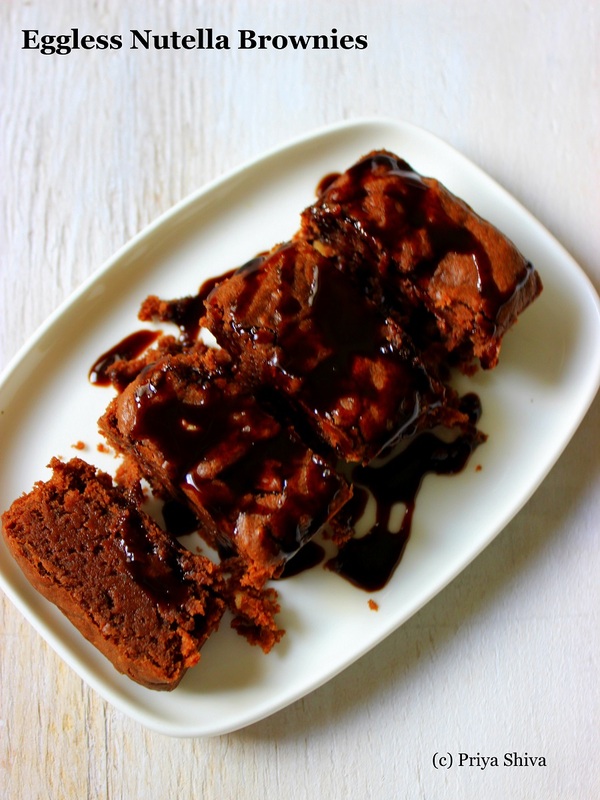 So, sharing the recipe for the best ever Eggless Nutella Brownies..
Chop and mash one over-ripe banana to get 1/4th cup of banana puree. Preheat the oven to 180 degrees celcius. Grease the loaf pan evenly with oil or line it with parchment paper. Add Nutella, vanilla extract and banana puree in a mixing bowl and whisk until smooth. Add the flour and whisk until blended. Add chopped walnuts and give a quick stir. Pour the batter in loaf pan and Bake at same temperature for 12 to 15 minutes. Set on a wire rack to cool completely. Enjoy them with your family and friends..
Add 2-3 tbsp of milk if you feel the batter is too thick. Very nice yummy to look at wow !!! The baking time remains same even if you double the recipe. I’ve missed out a lot of delicious recipes from your page! I missed it. this one is omg totally yum! im sure kids would love this!